Importance of any crop can be judged by its area, production utilization and share in trade. The same criteria or standards can be applied to maize to judge its importance as cereal crop. 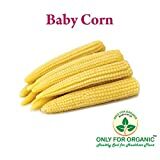 Nutritionally, maize contains 60 to 68% starch and 7to 15% protein. Opaque seeded types are more nutrition’s and contains a high percentage of essential amino acids. The embryo which forms about 12% of the whole grain is the source of protein, fats and sugars. Yellow maize is the richest sources of Vitamin-A. Maize has more riboflavin than wheat or rice and is rich in phosphorous and potash. Maize contains 1.2 to 5.7 % edible oil. Varieties developed particularly for oil production contain as much as 14%. Maize oil is widely used as a cooking medium and for manufacturing of hydrogenated oil. The oil has the quality of reducing cholesterol in the human blood like sunflower oil. The fat content of the oil is about 80%. 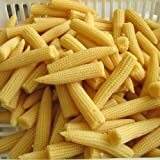 Maize acts as a source in the manufacture of starch, syrup, dextrose, oil, gelatin, lactic acid tec. Corn flour is used as a thickening agent in the preparation of many edibles like soups, sauces and custard powder. Corn syrup is used as an agent in confectionary units. Corn sugar (dextrose) is used in pharmaceutical formulations is s sweetening agent in soft drinks etc. 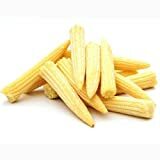 corn gel on account of its moisture retention character is used as a bonding agent for ice-cream cones, as a dry Dustin agent for baking products.